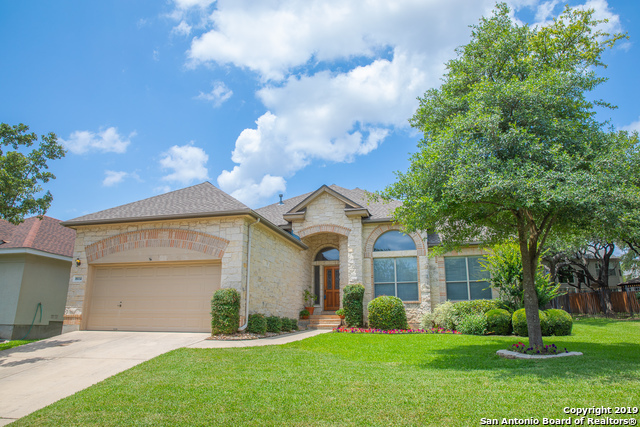 All The Vineyard homes currently listed for sale in San Antonio as of 04/24/2019 are shown below. You can change the search criteria at any time by pressing the 'Change Search' button below. "A rare find for a beauty positioned on a cul-de-sac in the highly desirable community of The Vineyard. Open floorplan with updated kitchen including granite and new SS double oven. Master suite located downstairs with his/hers vanities, separate shower/garden tub. This home is resourceful in every way offering a HVAC 2017 system, spray foam insulation retrofitted throughout attic to keep those summer AC bills down and new roofing in 2017. PRICE REDUCED to allow buyer to pick out their own upgrad"
"Stunning and gently lived in SINGLE STORY gem one owner. Private study/Huge kitchen with Open floorplan that is perfect for empty nesters or the growing family. Water heater replaced September 2018, new roof May of 2017,New AC Unit 2015, wood and tile flooring in common area decorator colors. Four sides maisonary. Award winning northeast schools." "Charming One Story... This Home Has Amazing Curb Appeal, From the Cul-de-sac Lined with Mature Live Oak Trees and Lush Landscaping Up the Drive to the Side Entry Garage, REAL Wood Floors, Study w/ French Doors, Tall Ceilings, Gas Fireplace, Wood Plantation Shutters, Gas Cooking, Covered Patio. This Highly Desirable Community has Two Gated Entrances for Easy Ingress and Egress Access to 1604 Just 1/4 mile away. Wood Fence 2018, Roof 2017, Neighborhood Pool, Clubhouse, Park and Sports Court." "Welcome to this beautifully maintained, tastefully updated open concept home on a wooded green belt near top rated schools. It boasts exceptional amenities: beautiful upgraded flooring, a spacious kitchen with granite countertops, large serving bar, and SS appliances with a double oven. A large split master suite includes an ensuite bathroom with garden tub and large walk-in closet. Enjoy quiet evenings in the private and lushly landscaped backyard with play scape, gazebo and irrigation system." "THE VINEYARD: Gorgeous Perry Home in the Highly Desired Vineyard Community. Open Floor Plan, 4 Bedrooms, 2.5 Baths, 2790 Square Feet, Cul-de-sac, Ceramic Tile and Wood Floors, Built-in Cabinets, Decorative Wood Accents and Window Trim, Huge Power Room; Children's Playroom, Gym, Study, etc - Options are Endless. Wood Deck, Mature Oaks, Privacy Fence. 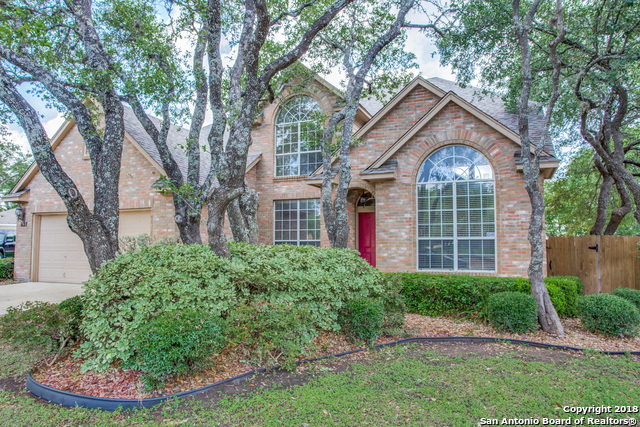 Easy Access to 1604, 281 and I10 with Close Proximity to Eisenhower Park, Fiesta Texas, The Club at Sonterra, Restaurants...the List Goes On."